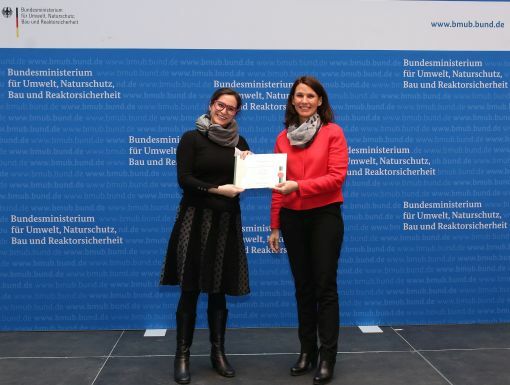 In 2016/2017, I had the opportunity to be part of the “International Climate Protection Fellowship” from the Alexander von Humboldt Foundation to spend a year in Germany working on a research project in the field of Monitoring, Report and Verification for the Mexican carbon market at the German Emissions Trading Authority. The results of this experience are vast. I had the opportunity to develop contacts at the seminars organized by CIPSEM and DBU, such as the City Major-Dresden Municipality Climate Office, Leibnitz Institute for Ecological Urban and Regional Development (IOER), Department of Forest Sciences of the TU Dresden, Helmholtz Centre for Environmental Research (UFZ), Potsdam Institute for Climate Change Impact Research (PIK), Institute for Advanced Sustainability Studies (IASS), Ecologic Institute, Federal Ministry for the Environment, Nature Conservation, Building and Nuclear Safety (BMUB), Atmosfair, Fraunhofer Institute for Solar Energy Systems and Wind Energy, Alfred-Wegner Institute of Polar and Marine Research, and the Climate Change, Environment and Infrastructure Division at the GIZ. I was also able to present my research at the International Climate Initiative (IKI), assist at the 7th EU ETS Compliance Conference in Brussels and at the 2 day conference “Transformative Global Climate Governance après Paris” at the Freie Universität Berlin. More importantly, I had the chance to visit my country, Mexico, to share some advancements from my research and present them to the Ministry of Environment, as the authority responsible for the design of the emission trading scheme. They expressed that my results will be a tool for them during their talks with other Ministries and in incorporating their design of an MRV System for a Mexican emissions trading system. I want to express this as a way to confirm how significant the impact of the AvH Fellowship can be in boosting climate protection. It is very motivating to know that my project can have a real impact in policy making. This is all supplemented by my daily job activities. Having the opportunity of working at a German institution for a long period of time has allowed me to compare the differences in the job atmosphere. The difference in working relationships is HUGE, responsibility and punctuality, all of course in the German language. And that has resulted in a challenge. In my experience, the German language has been quite important for integration. That is the reason why I have tried to improve my level of German. I took German language courses for almost one year. In April, I will be taking the B2 exam. Because of my fellowship, I was granted the opportunity to take part in an online training course “Large Scale Renewable Energy Systems”. This course has allowed me to learn in depth about large scale renewable energy systems in a more technical way. I have also participated in workshops, e.g. at the Isle of Vilm by BfN “Ecosystem Based Adaptation”, workshops in solar, bioenergy and wind energy. YES, it has been A LOT OF WORK, and sometimes I don’t see an immediate benefit from dedicating so much effort to this. But, this is my life now, very different to the way it was when I left home a year and a half before, and I want to make the best out of these circumstances. Honestly speaking, having the satisfaction of sharing this experience with my boyfriend, now my husband, is priceless. My experiences abroad as a student (in 2010) and then returning as a couple have been very different. This experience has strengthened my family, and of course we all got to know each other better. I also have the great satisfaction of working on a one year research project. This is something that “smells” of my effort, learning and creativity. Due to all these things, I think I am becoming a better version of myself. Now I am ready to take the next step. In May, we will be returning to our beloved country. 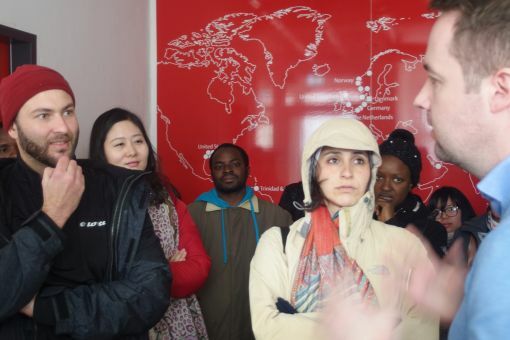 Through this experience, I have recognized the important role that building networks and staying connected plays in achieving sustainable development. Ultimately, this is what has brought me to this point, the willingness to build a network between Mexico and Germany in terms of monitoring. Though, uncertainty surrounds me, I may say that by reading other posts of former colleagues, or even my own, I have realized that this is not the first time my life has gone through this type of change, and that, once again, I should learn how to pick lemons my way. 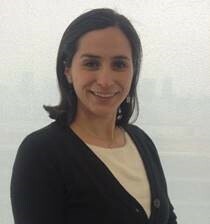 Elizabeth Mosqueda possess long term experience in climate change modeling and sustainable systems in Mexico and Europe. She graduated from the Master of Energy and Environmental Management with specialization for developing countries at the University of Flensburg in Germany and has a Bachelor in Chemical Engineering at National Autonomous University of Mexico.